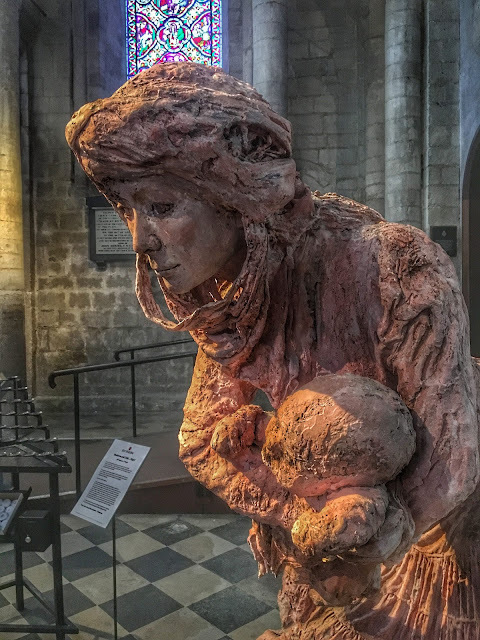 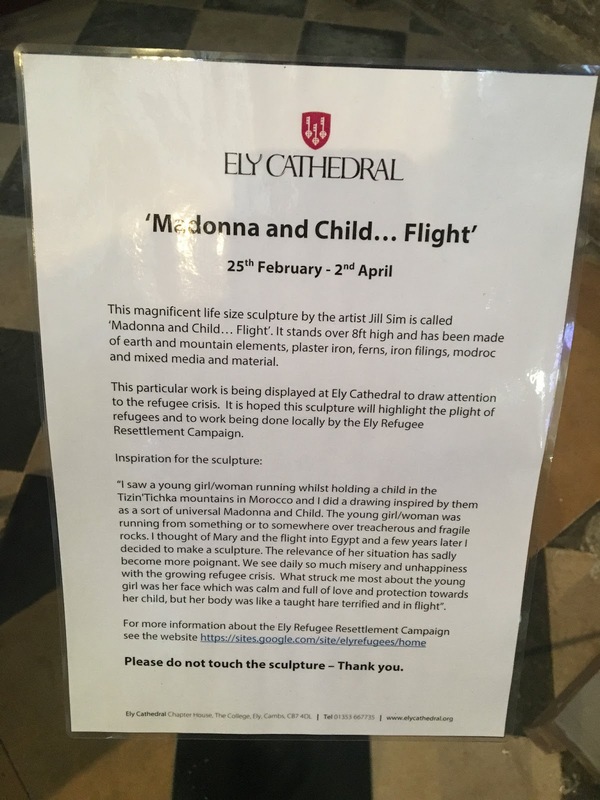 Over to the cathedral earlier this week for the regular Wednesday service, and there was a large piece of artwork representing a fleeing mother and child. 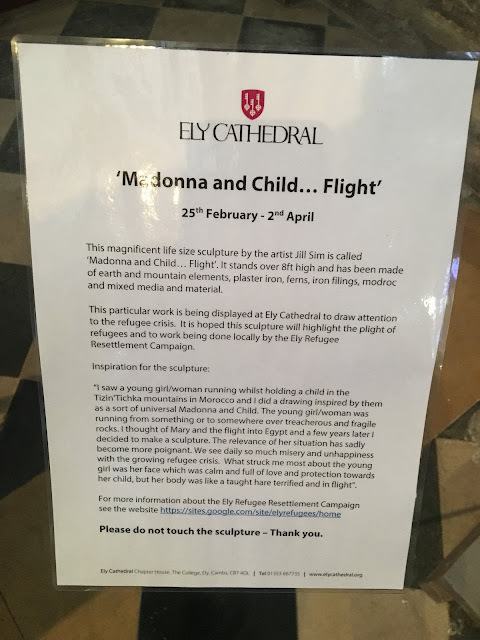 It was created by Jill Sim, and is only there temporarily, and there was an information board next to it. 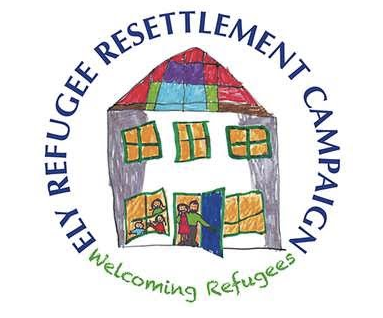 The Ely Refugee Resettlement Campaign website is linked to from above, which reminds visitors of the earlier story of St. Etheldreda who fled to Ely to escape violence and founded the church which still remains there over 1000 years later.